Due to the growth of Agility Squared we are modifying the way we do our support system. From now on you will need to use our support ticket system for any requests/changes for your Website and/or other services. You would have received your login details for this when you signed up for our hosting, however if you can’t find these details let us know so we can reset and send you the account information. When you receive a Ticket please click ‘get support’ below to get started. It will then prompt you to login. Once logged in you will be able to reply to the ticket. Hello and welcome to Agility Squared’s new ticket support system, this is a quick video showing you what to do. You would have received an email that looks like this, instead of replying to the actual email – click the link that we provide. It will then prompt you to login. use your login details that we supplied to you when you signed up to our hosting. 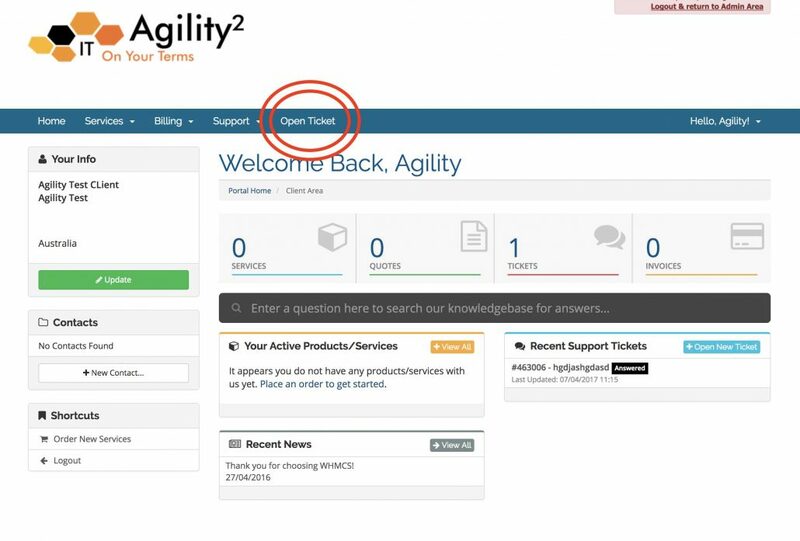 If you don’t have these details please send an email to admin@agility.com.au and we will reset it for you. If you do have the details then sign in, and here you will see your ticket. you can then click reply. Just fill it in like you would a normal email and you can also attach images etc if need be. This part here is your personal dashboard for our support system. as you can see here this tells you the number of tickets that you have. If it says zero and you would like to open up a new ticket to get some more support from us all you need to do is click on ‘open ticket’ and fill it in like a normal email. If it is urgent then change the priority to high. Thanks for watching! This video was bought to you by Agility Squared.